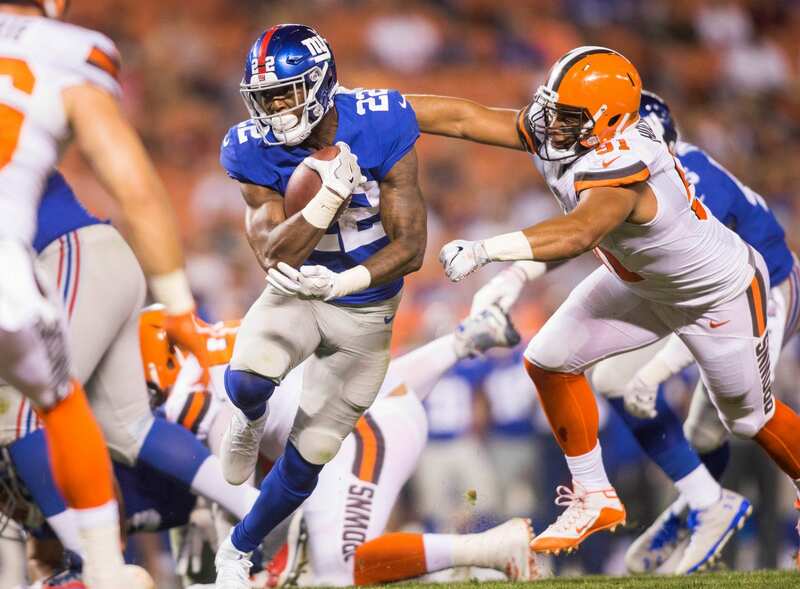 Home New York Giants What If The New York Giants Do Not Draft A Running Back? As the NFL draft is quickly approaching, the talk of this entire offseason has been whether the New York Giants should take Saquon Barkley with the second overall pick. Some argue they should, some say they can find just as talented running backs in the later rounds. The question I have not heard is, what if they don’t draft a running back at all? Well, the answer to that question is, the Giants will be okay. There are still serviceable running backs on their roster, specifically one coming into his sophomore season. You guessed it, Wayne Gallman. Wayne Gallman was drafted by the Giants in the fourth round of the 2017 NFL Draft. Coming off of a national championship and ranking in the top 5 in Clemson history in both rushing yards and touchdowns. It took until week 4 for Gallman to finally take the field, and he did not disappoint. He led the team that week with 11 carries for 42 yards. He also caught two passes for 8 yards, one of which for a touchdown. On that day, Wayne Gallman became the first Giants running back to score a touchdown on his pro debut since Brandon Jacobs in 2005. Gallman made it a point to follow what the veterans on his team were doing last year to learn how to be a pro. Another offseason working with Jonathan Stewart can only help him even more. Gallman finished 2017 with 111 carries for 476 yards, an average of 4.3 yards per carry. It is safe to assume that the offensive line will be better than it was last year, as the Giants focus on rebuilding that unit. With an improved group of “hog mollies” blocking for him, Gallman could emerge as the top back for the Giants. Wayne Gallman has the physical tools to succeed in the NFL and now has the experience that gives him a leg up. After the disastrous 2017 season, Gallman took the positives from it and used it as a learning experience. And when asked about what he expects out of next season, he gave the perfect response. Coming from the winning nature of Clemson football, and then dealing with the adversity the Giants faced in 2017, I am confident in saying that Wayne Gallman has a chance to be a quality running back in the NFL. The New York Giants are lucky to have him.